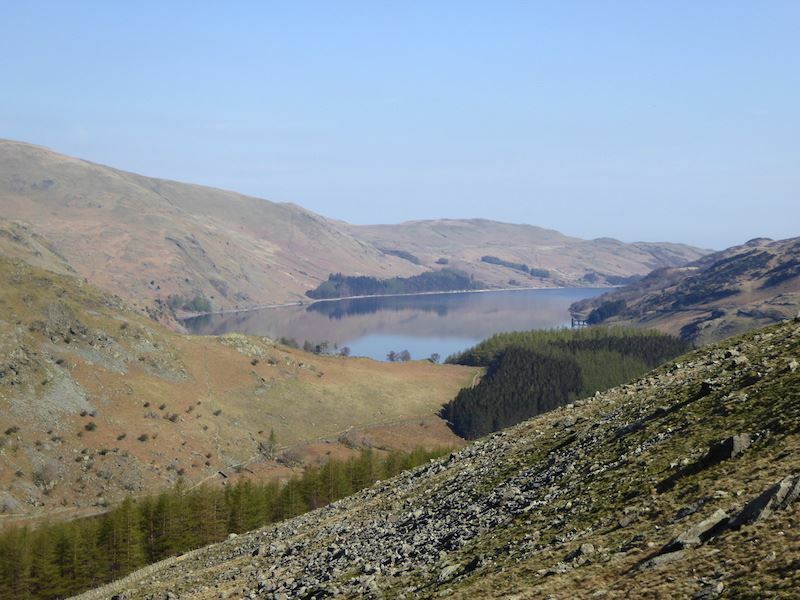 The dry, sunny conditions are set to continue today so it was shorts and t-shirts again and off we went for the short drive over to Mardale Head to take a walk over Branstree and Selside Pike. 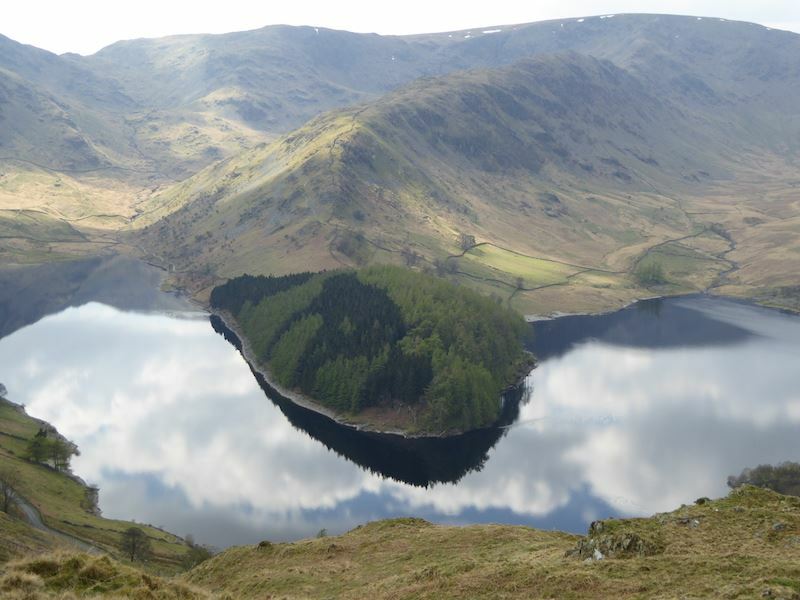 Here we are at Haweswater on a beautiful, still morning, with the prospect of another lovely day in store. 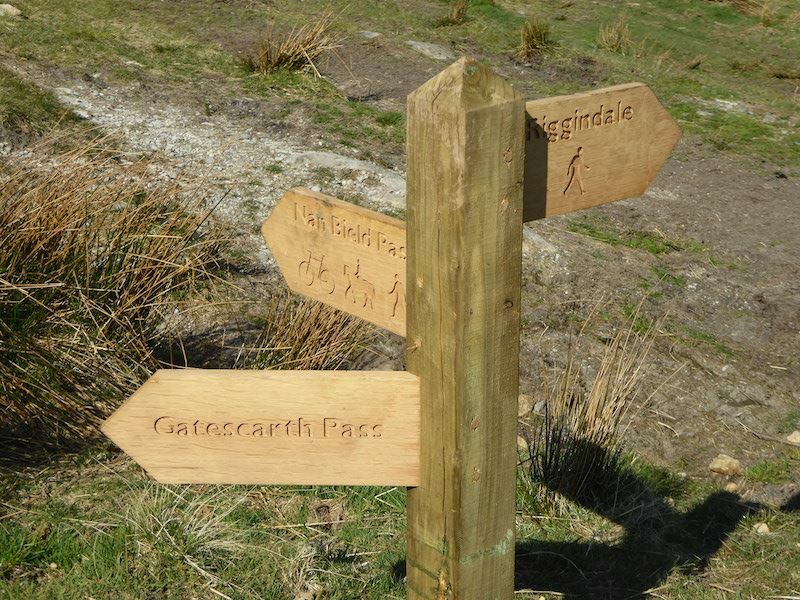 A new sign at Mardale indicating what activity is allowed on the various paths. 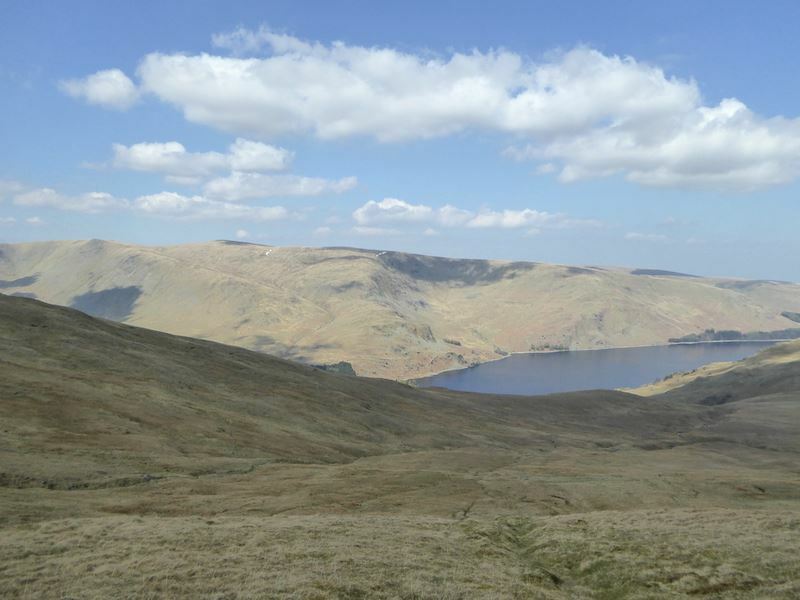 So, its walking only in Riggindale, and walking, cycling and horse riding over the Nan Bield pass. 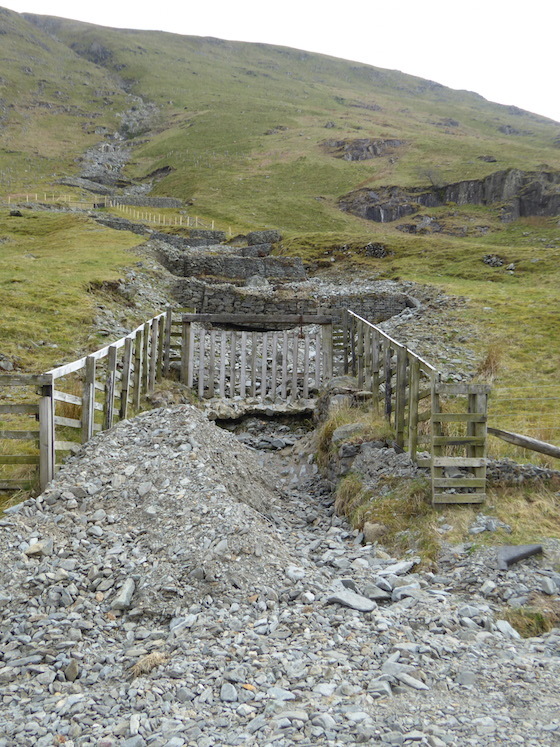 So what’s permissible on the Gatescarth Pass then? 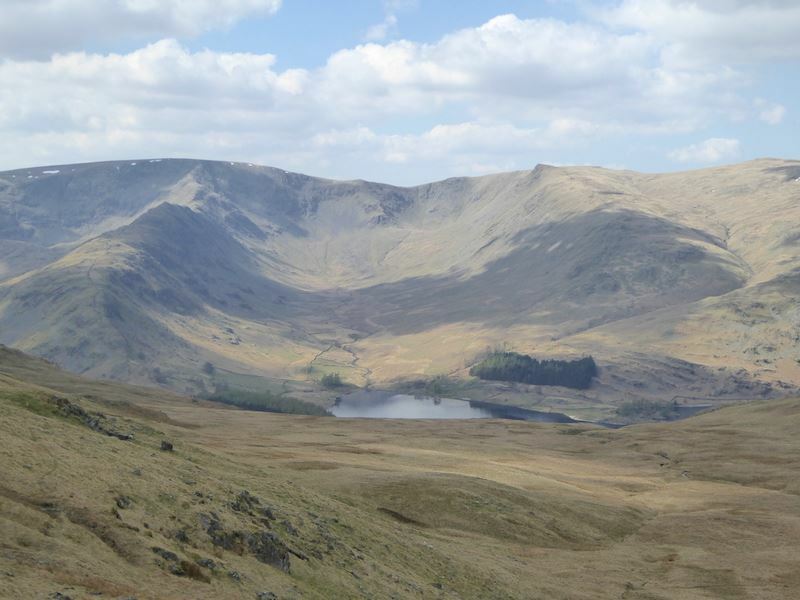 Mardale Ill Bell on the left and High Street on the right as we start up the Gatescarth Pass. 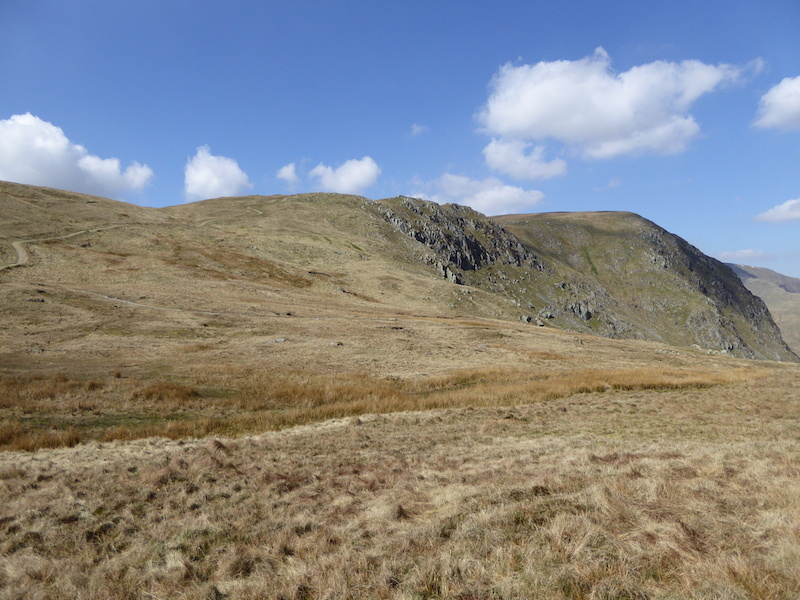 Harter Fell is right in front of us as we make our way up the Gatescarth Pass. 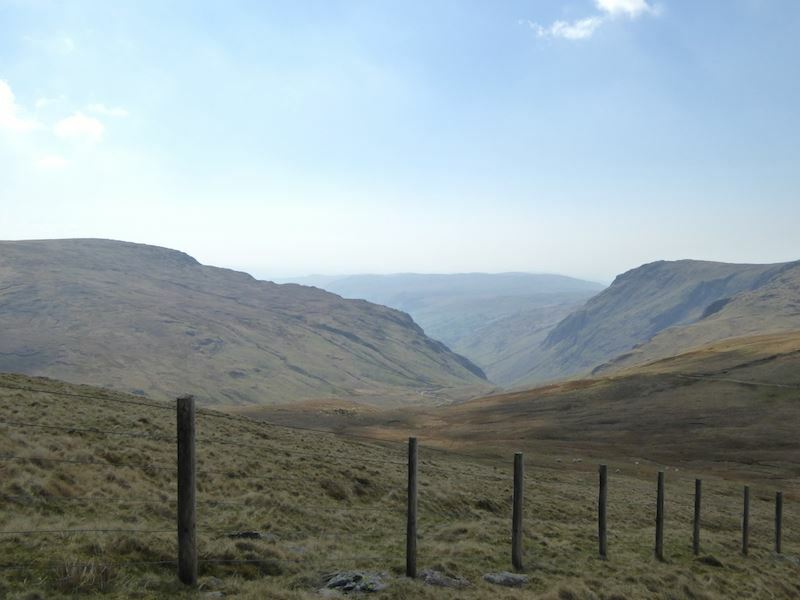 A look back down the Gatescarth pass as we take a ‘mop the brow’ stop. It was warm work walking up here as we were facing directly into the sun. 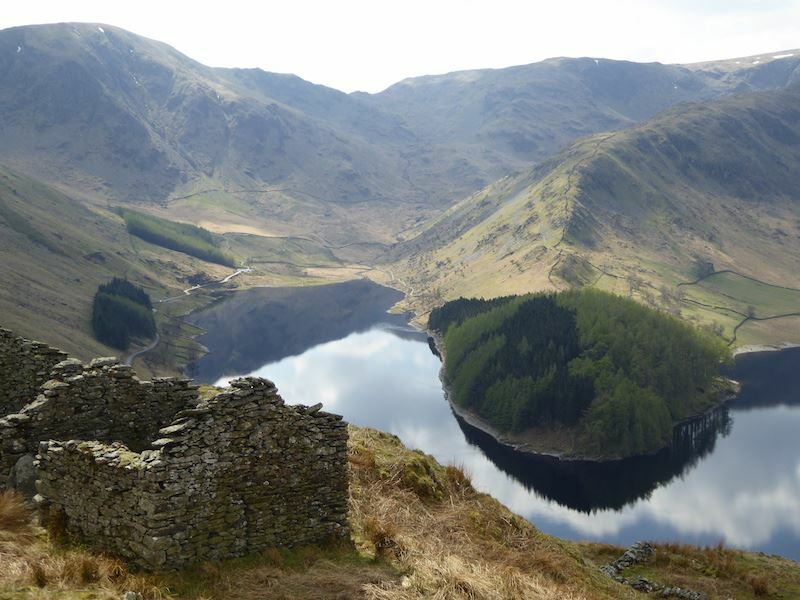 A look over to Haweswater as we make our way up the pass. 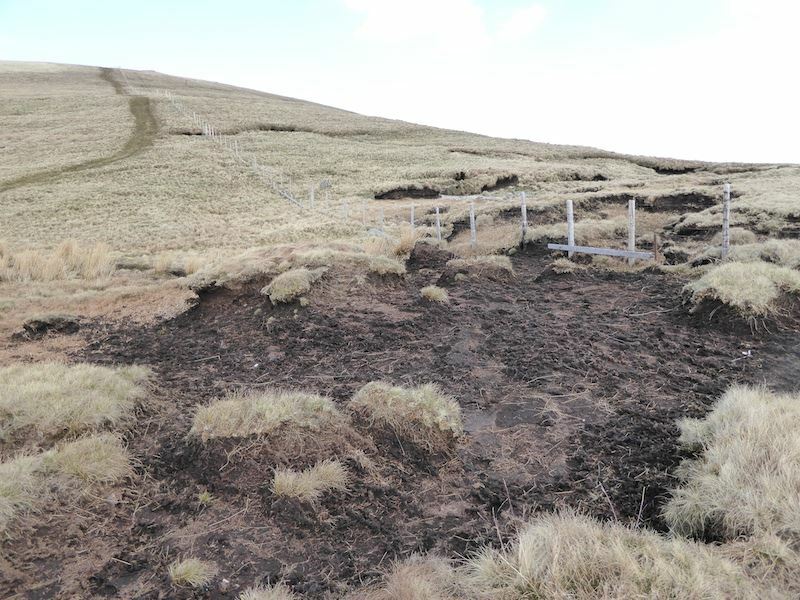 As you can see, some sections are quite steep and occasionally a bit rough underfoot which makes for slow progress at times. 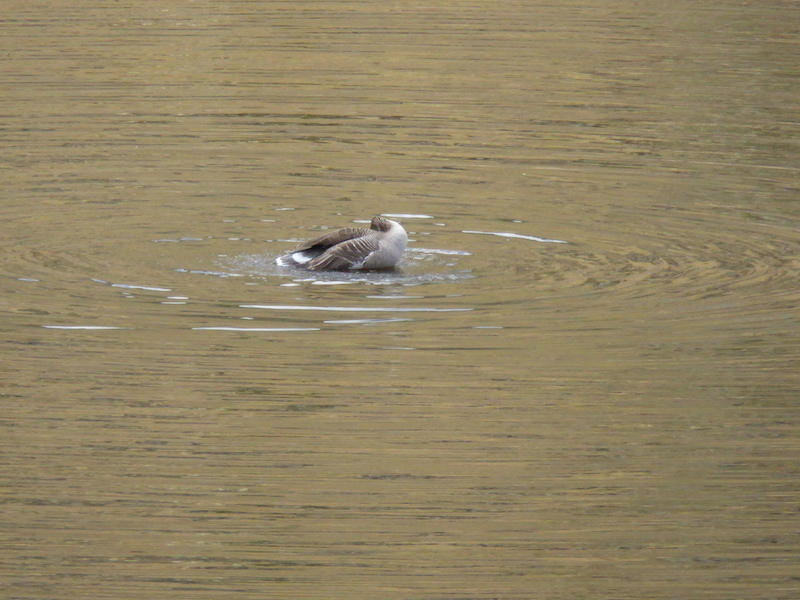 There were a couple of chaps a little way ahead of us who were also doing lots of brow mopping. Its very warm considering that its only April. 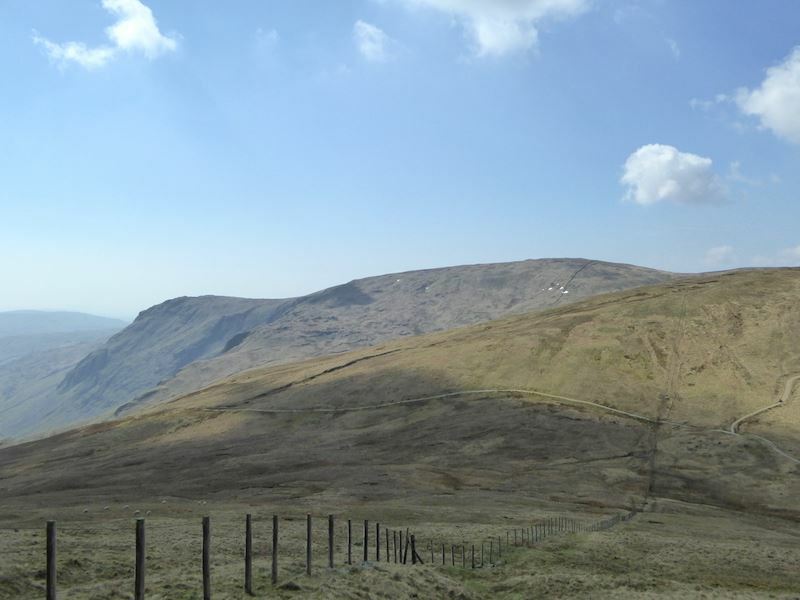 The pointed top of Kidsty Pike with High Raise over on the right of it. The ridge in between is Rough Crag. At the top of the pass we take a break and have a look at the next part of our route, the path up to Branstree. 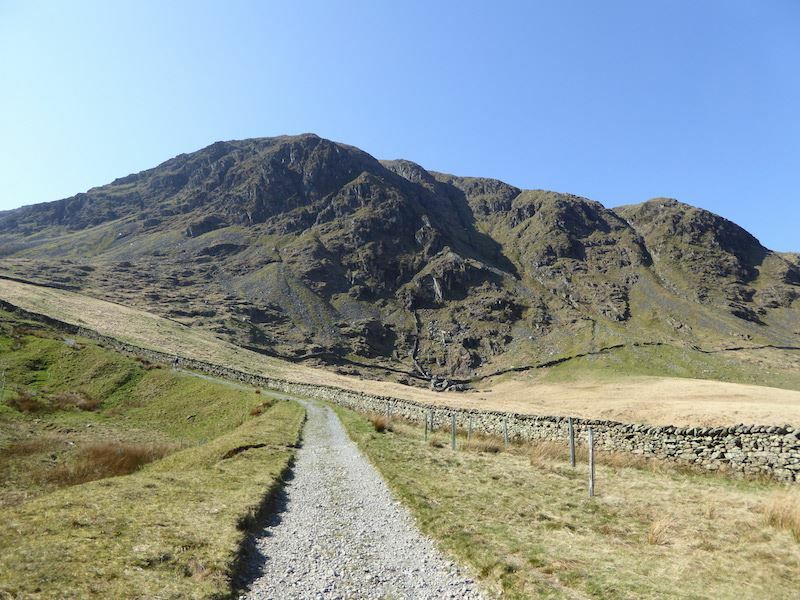 On the Branstree path now and looking back at the path which goes over to the summit of Harter Fell over on the far left. 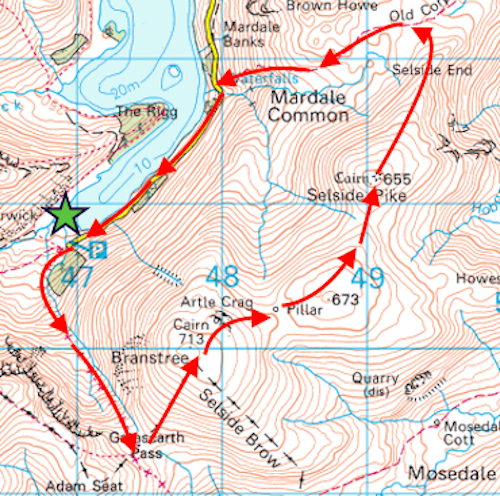 That’s the route taken by the two chaps who were in front of us on the Gatescarth path.The area between the two fells was extremely squelchy so a bit of nifty footwork was needed to avoid getting wet feet. 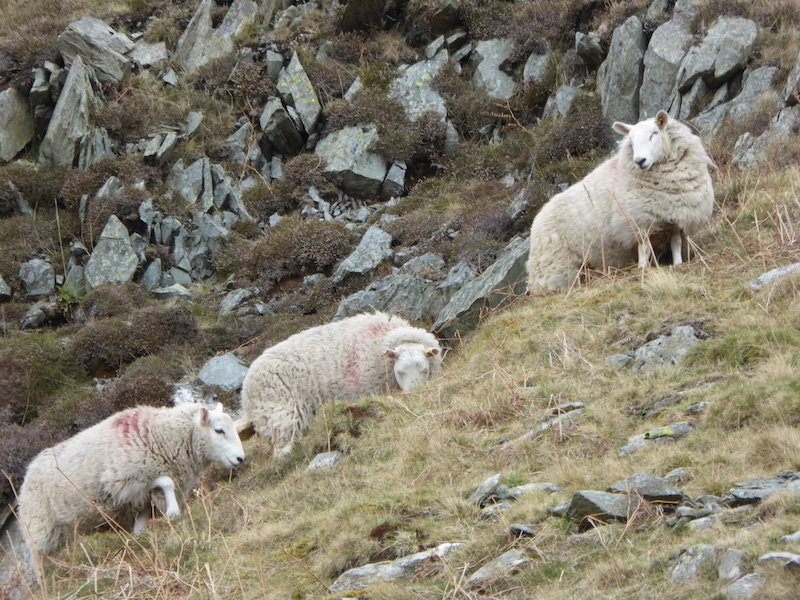 We made good progress up the dry Branstree path. 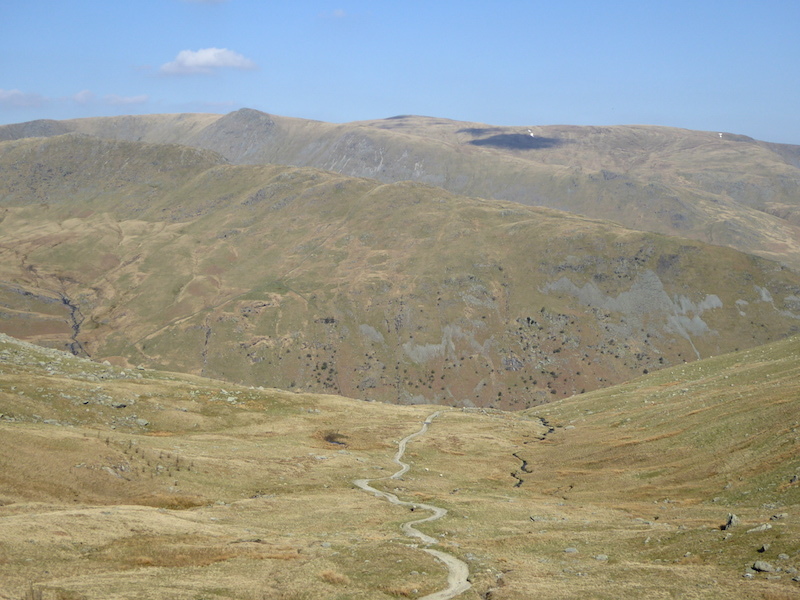 On the skyline is Goat Scar on the left rising up to Kentmere Pike on its right. 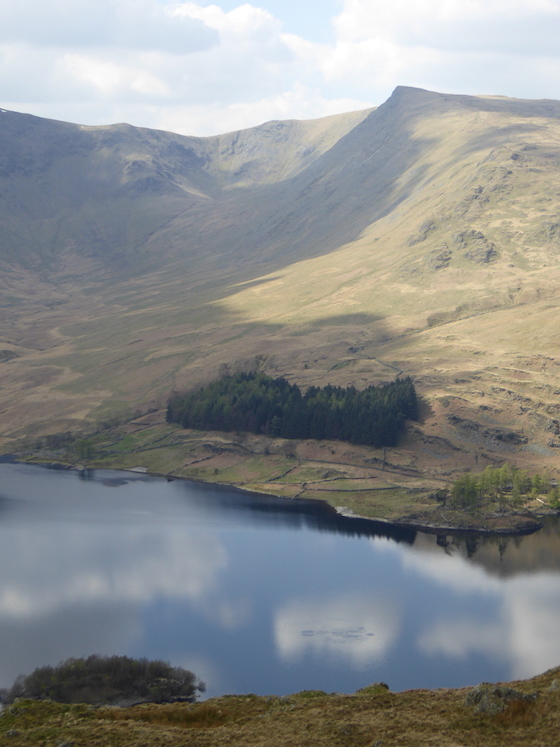 Tarn Crag, on the left, overlooking the Longsleddale valley. 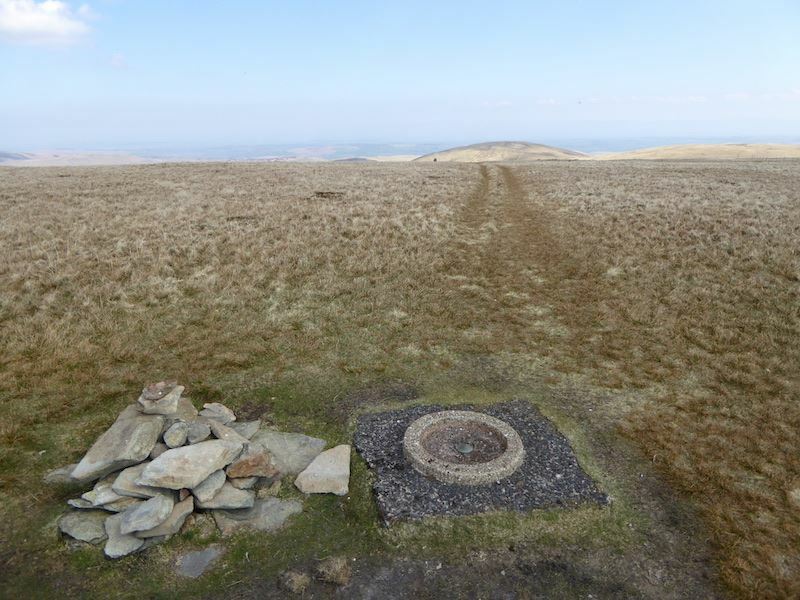 …… the circular trig point marking Branstree summit. This is usually full of water, handy if you have a canine companion, but the recent lack of rain has left the ‘dog bowl’ empty. From the trig point this path leads on to Artlecrag Pike and then to Selside Pike which is the little hump just peeping above the grass. 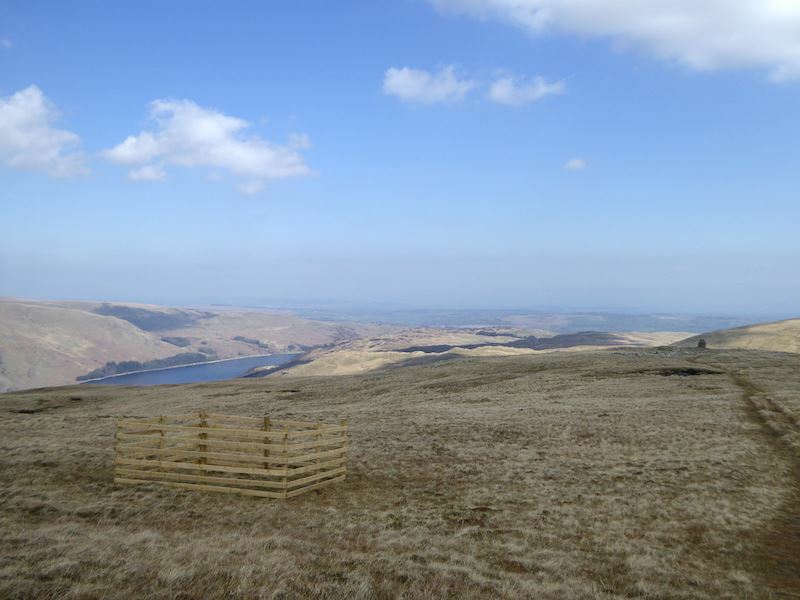 Haweswater is on the left, Artlecrag Pike cairn on the right and just in front of us is a fenced enclosure. We couldn’t make out what it was guarding since the inside of it looked just the same as the outside, so we left, none the wiser. 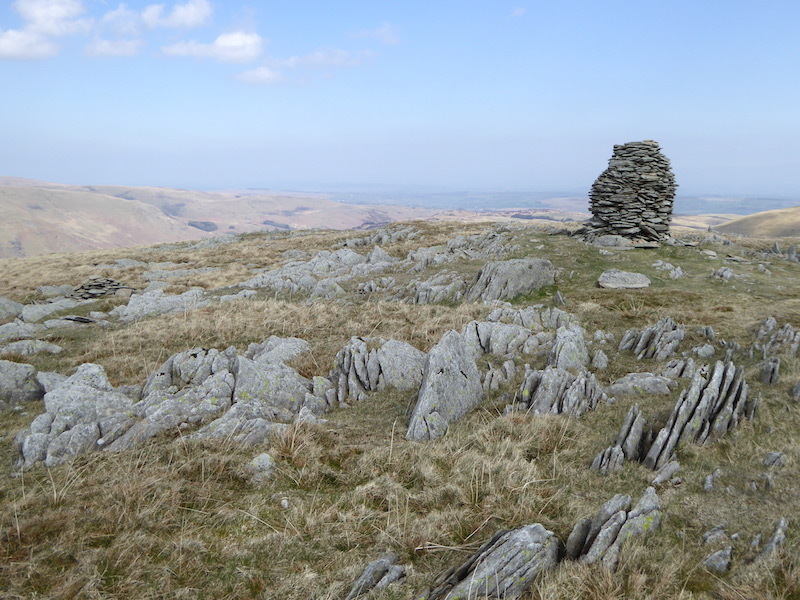 Just a short walk away is the higher cairn on Artlecrag Pike. 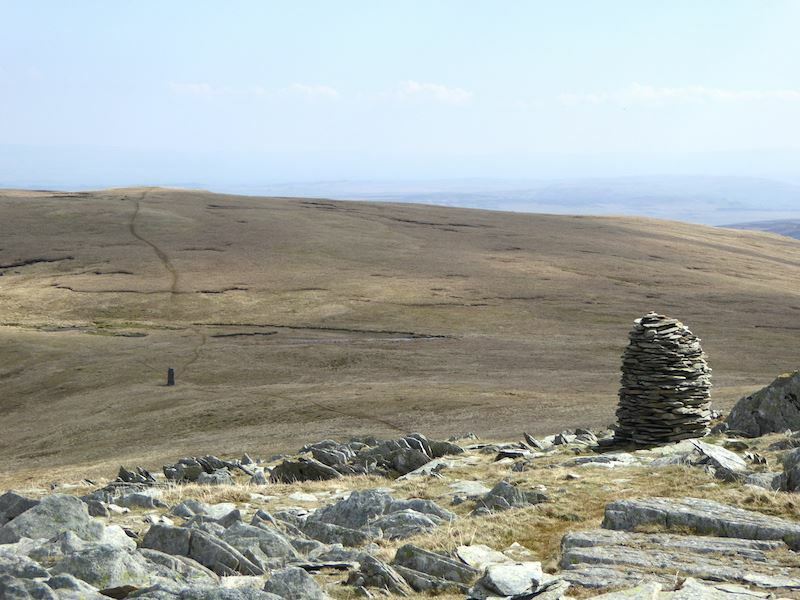 Now that’s a proper cairn, unlike those piddling mounds of stones you get on some summits. I wonder how long it took somebody to build that, and how long has it been there? 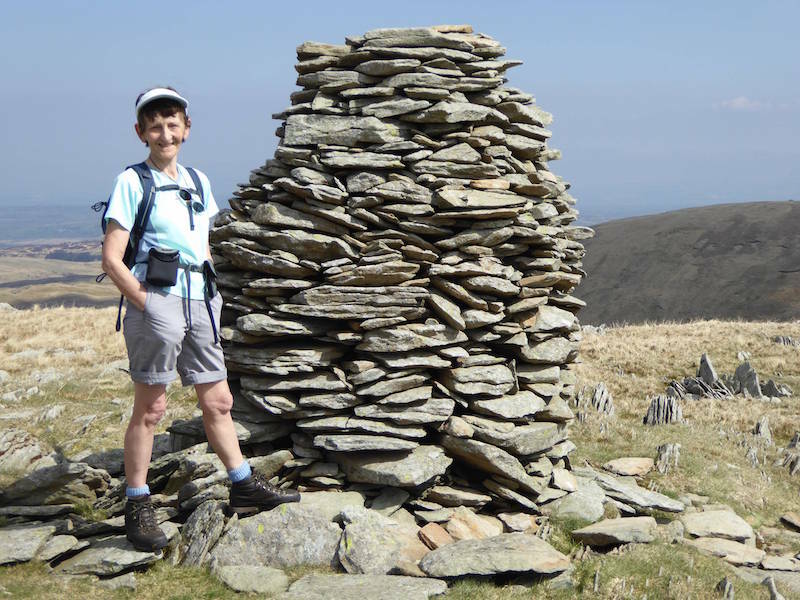 This is the lower cairn on Artlecrag Pike, no less impressive than the higher one which is now behind me. More about the column you can see in the middle ground in the next photo. 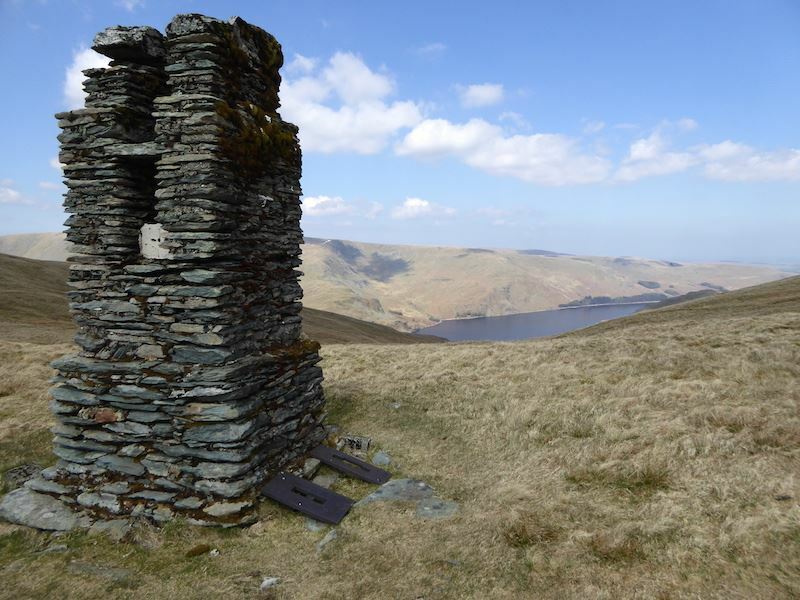 Another large structure, an old survey pillar, left over from the time the Haweswater reservoir down there was being constructed during the early 1930’s. 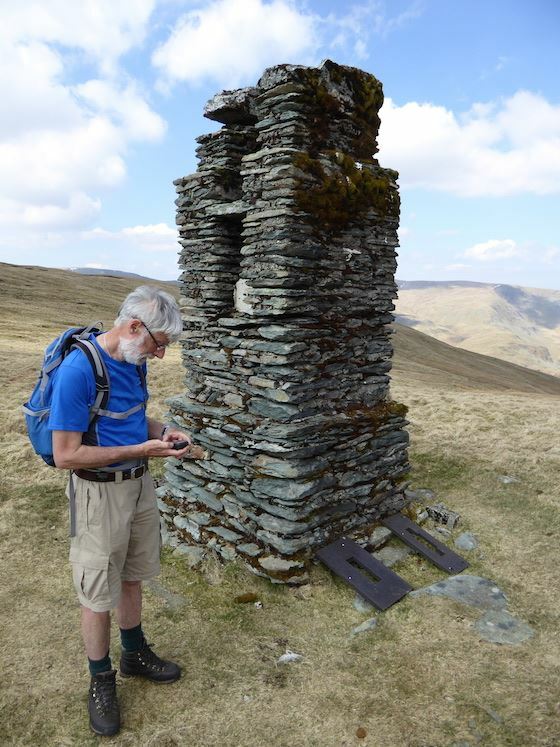 The GPS says we’re standing by a pillar, so now we know where we are then. 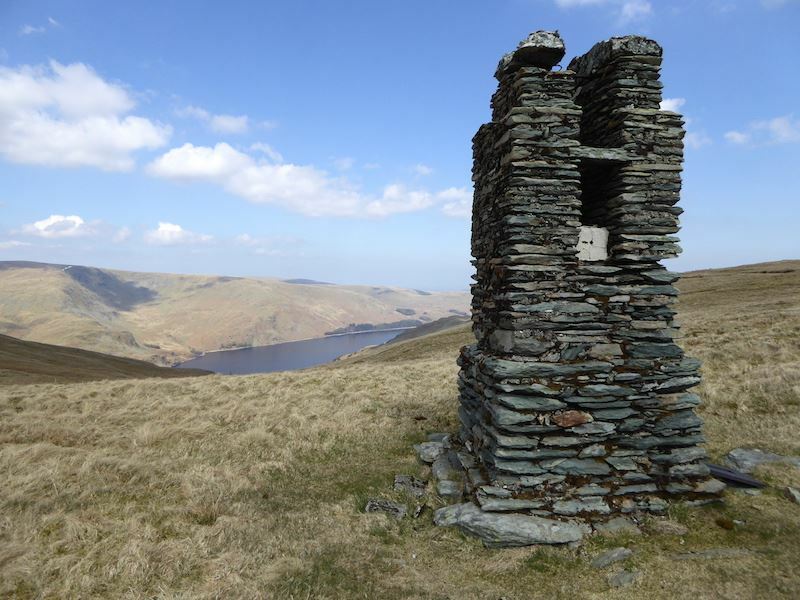 The survey pillar surveying what it helped to create, Haweswater Reservoir. A view from another angle, just for good measure. The cloud started building at this point so we were in shade for most of the walk from this point. 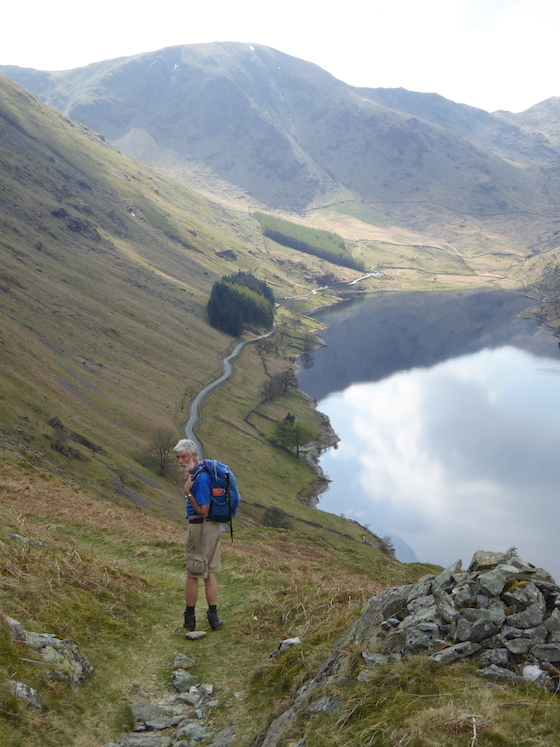 That’s where we’re heading for next, Selside Pike. 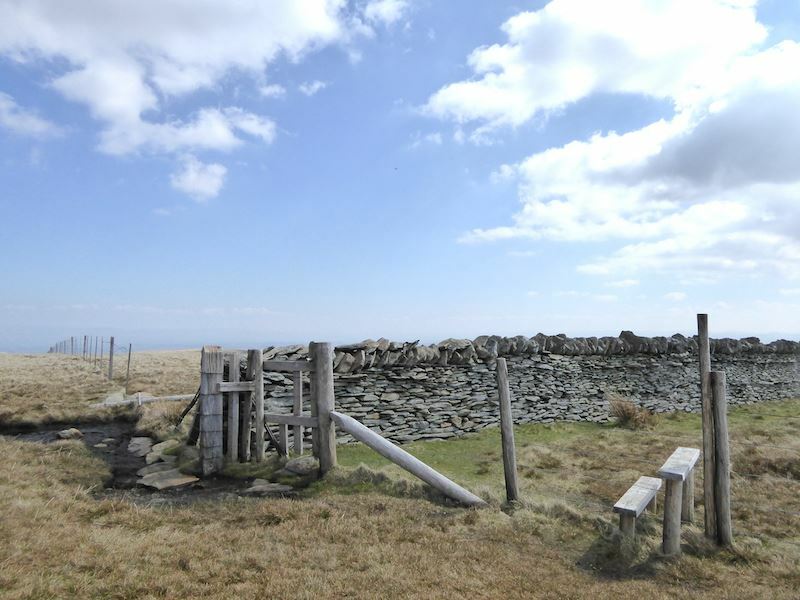 On the way we have to cross Captain Whelter Bog, normally a quagmire but dry today, thanks to the lack of rain. I don’t know who Captain Whelter was but it was most inconsiderate of him to create a bog here. 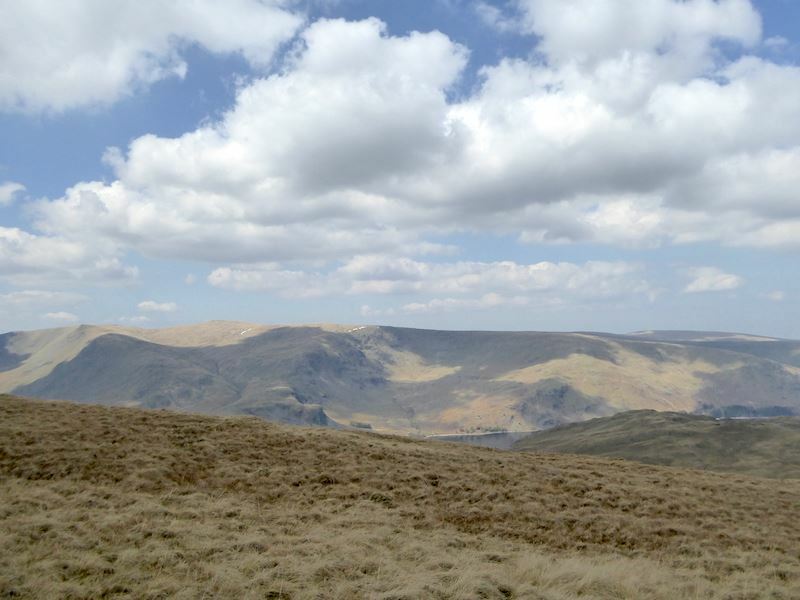 Patches of sunlight across the valley but we are still under a huge cloud as we leave Selside Pike. There isn’t a summit photo because I forgot to take one, I don’t know why because we were there long enough. We even had our lunch in the summit shelter and it still didn’t occur to me to take a photo, darn it. 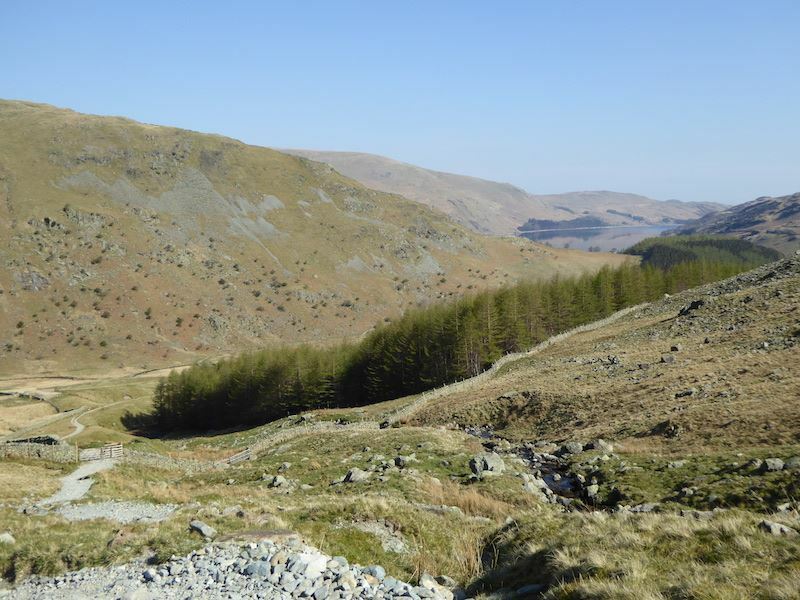 A view into Riggindale as we cross to join the old corpse road. 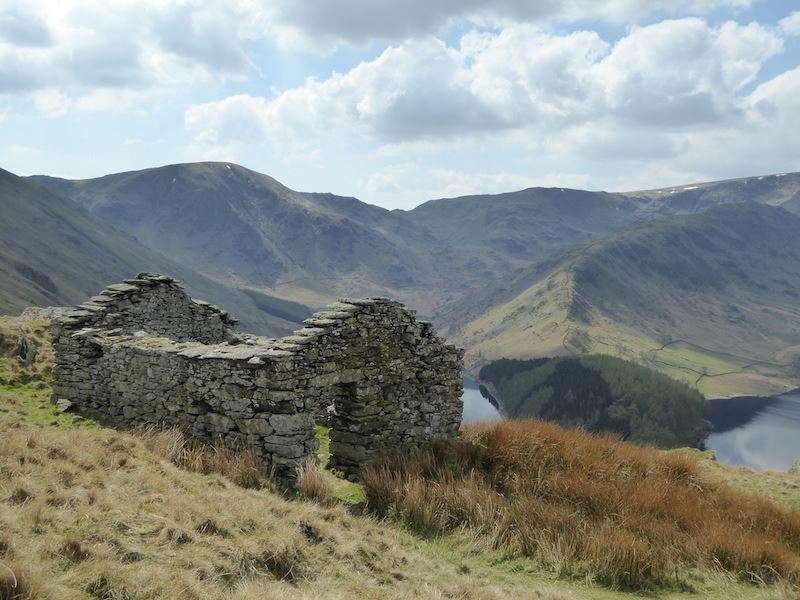 The Corpse Road was originally used to carry the dead of Mardale to the nearest churchyard for burial. 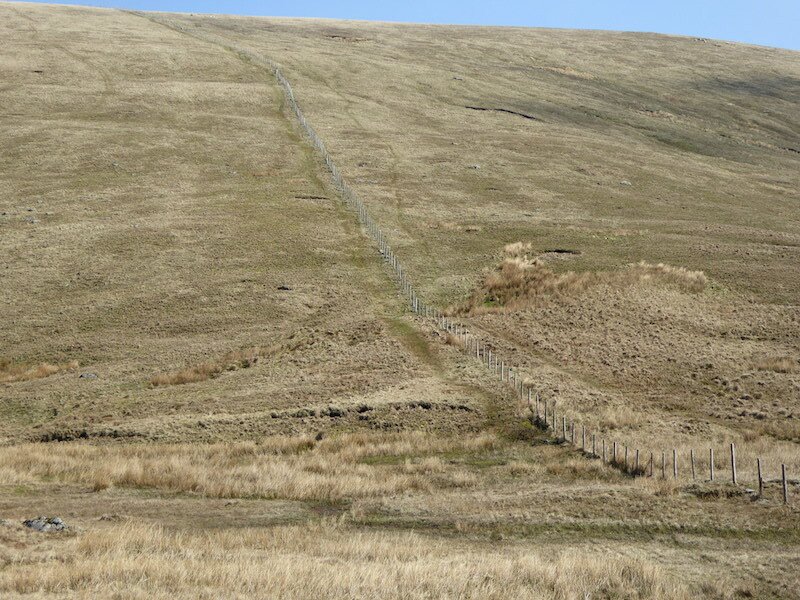 The route crosses into Swindale and then traverses further high ground to reach the village of Shap. 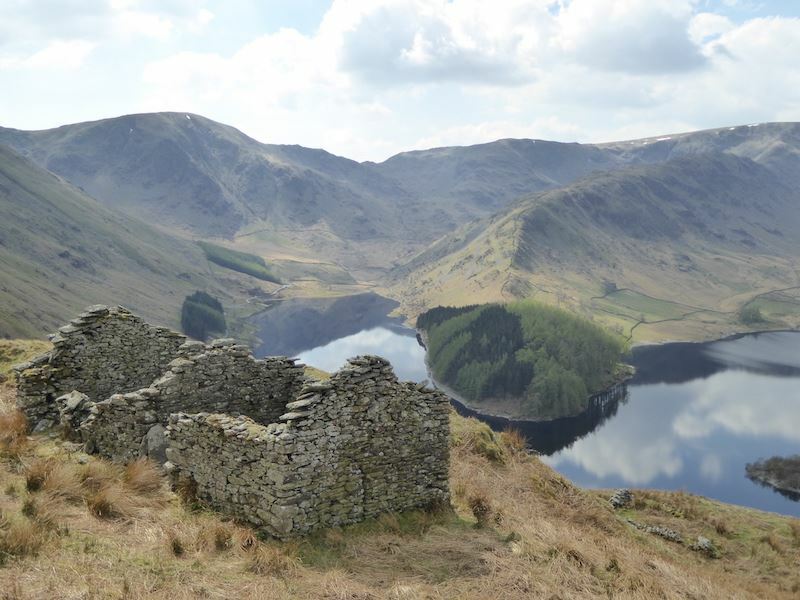 The last such journey was made by John Holme of Brackenhow on 17 June 1736, by which time the right of burial had been granted to the tiny Holy Trinity church in Mardale Green. 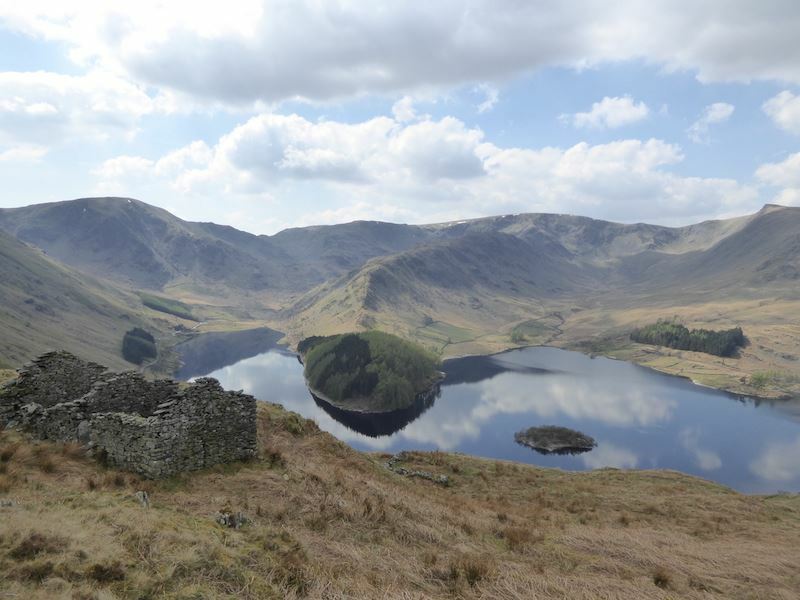 When, by 1936, the plans to raise Haweswater and submerge Mardale Green were finalised, the 100 or so burials made at Holy Trinity were disinterred and reburied at Shap. 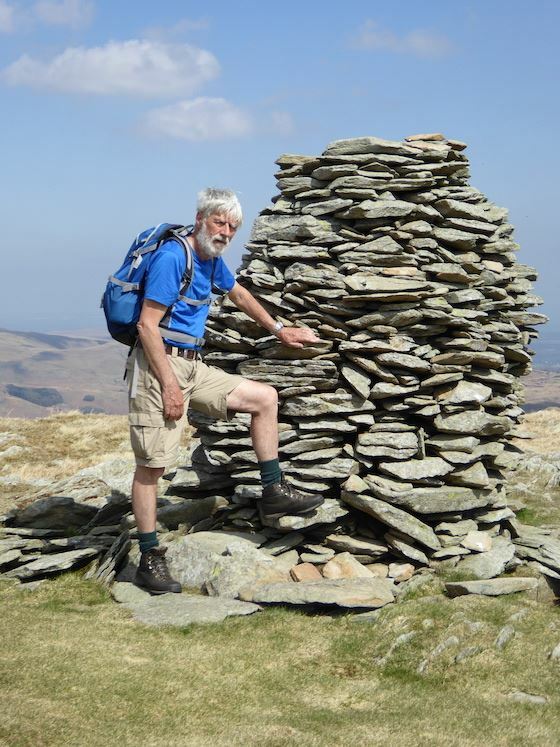 Just in case you are thinking what a learned and well-informed fell walker I am, I have to admit that I looked it all up. 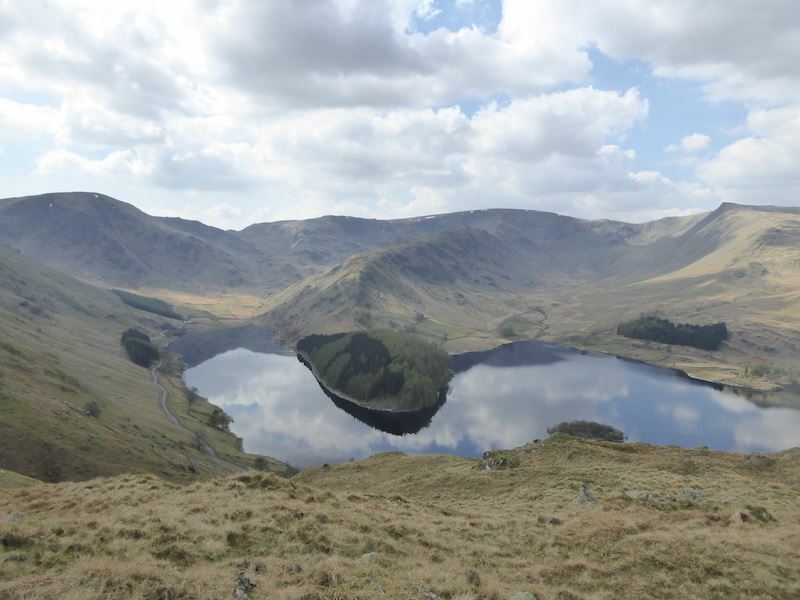 Not a ripple on Haweswater as we wait for a break in the cloud to brighten the scene. It didn’t happen. A closer look down at The Rigg, the tree covered promontory. Over to our right the cloud is still obscuring Kidsty Pike and the view into Riggindale. Still waiting for the cloud to move away. 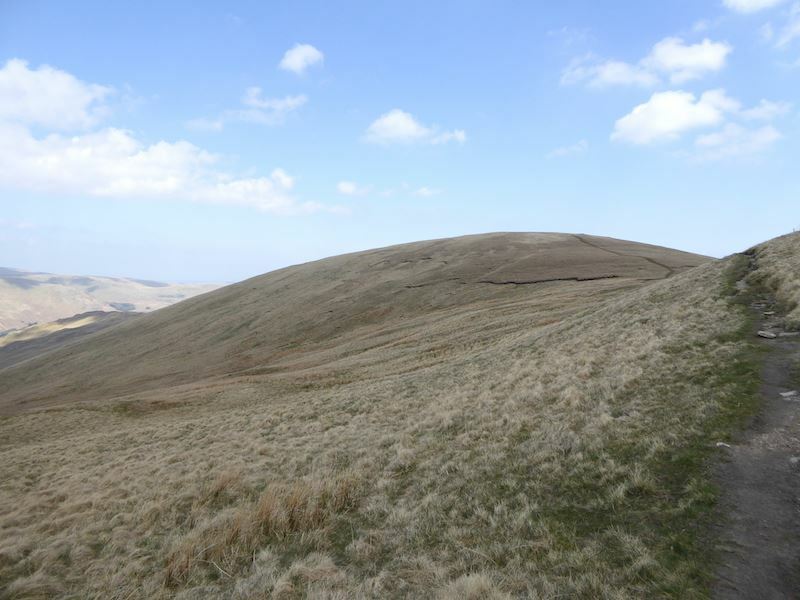 The low point on the skyline, in the centre, is the head of Nan Bield Pass. The road down below ends at a car park and that’s where we are parked. Its a bit of a long walk back but at least its mostly on level ground. I’m still waiting for that elusive splash of sunshine but it seems that the cloud is just getting thicker and darker. I gave up on waiting for sunshine and we carried on over the corpse road. 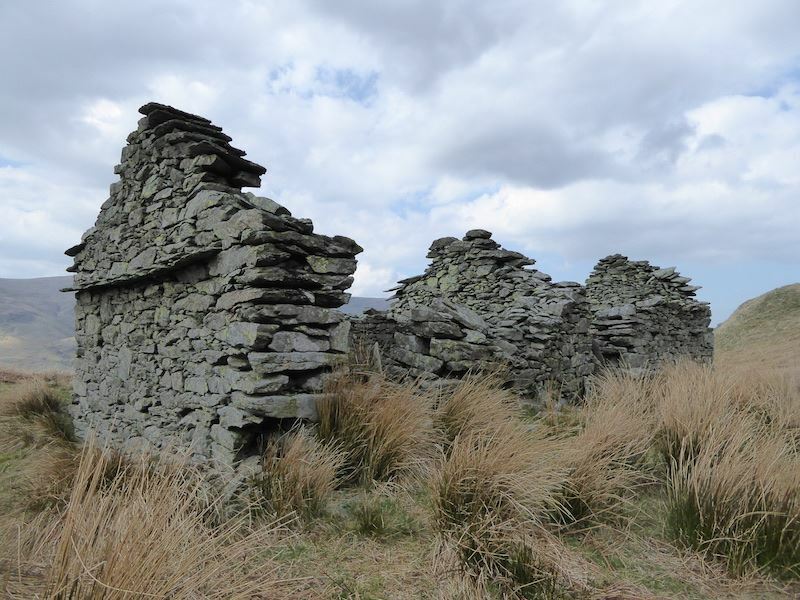 This is one of two derelict buildings up here, peat huts originally I think.. 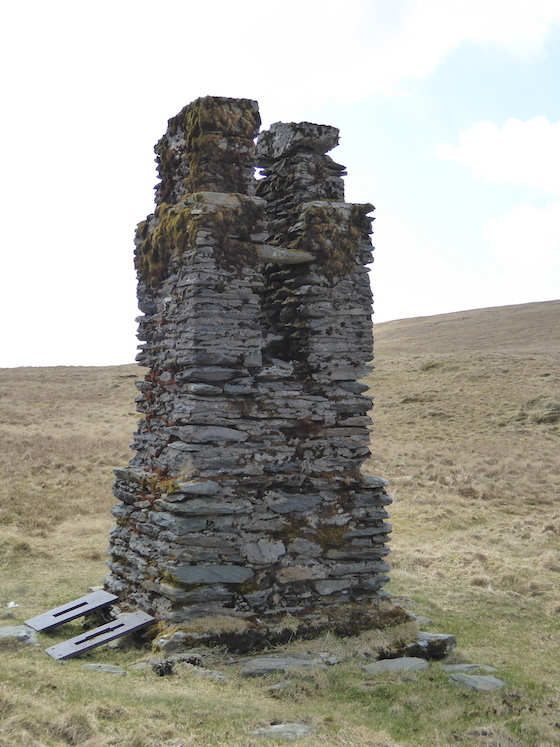 This is the second derelict building. 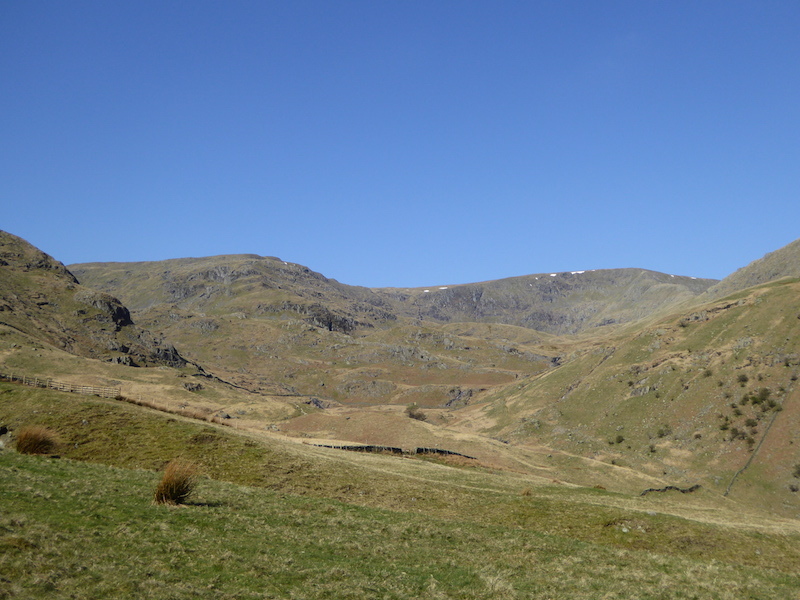 At last, a patch of sunlight on the valley bottom and part of Rough Crag. Its not much but it will have to do for now. 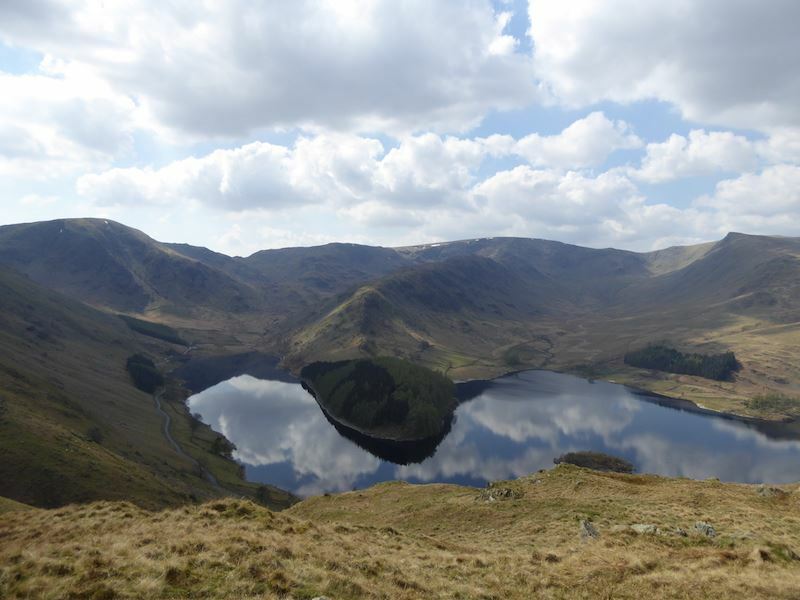 Haweswater and its surrounding fells. Well, its definitely a room with a view. 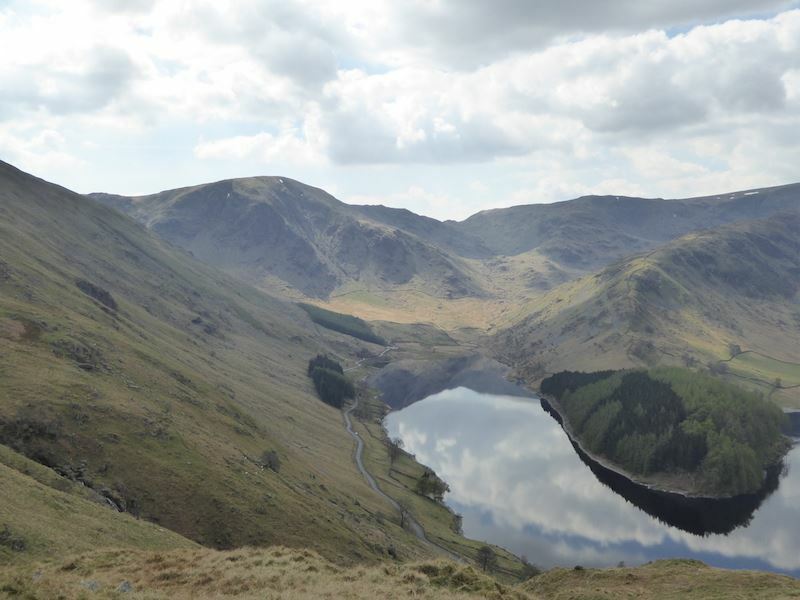 Looking along the road to Mardale Head as we begin to make our way down. Can you imagine carrying a coffin over here? 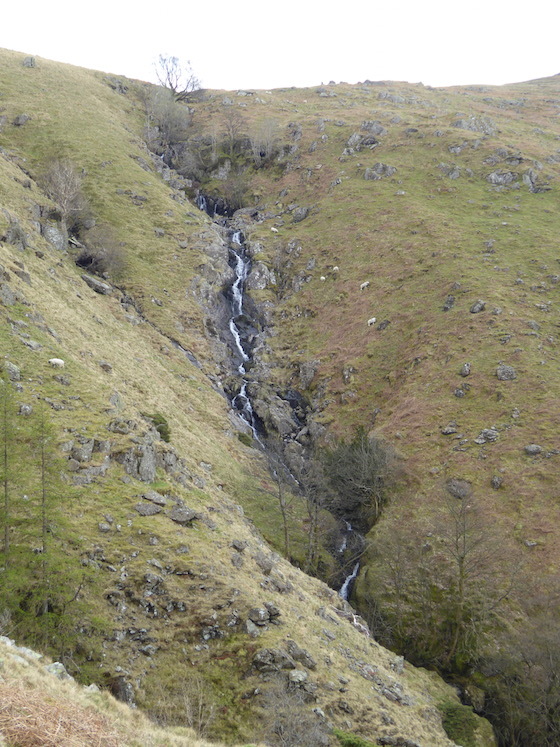 The waterfalls in Rowantreethwaite Beck. Trying saying that when you’ve had a few. They had a good look at us and then it was back to eating, obviously we weren’t very interesting. 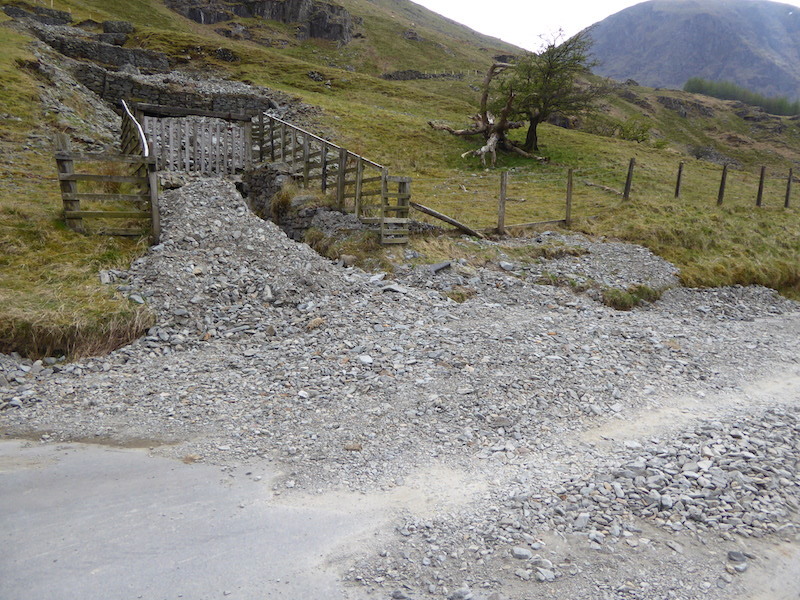 We were last along here in January and this landslip wasn’t here then. Perhaps the melting snow played a part in it. All the way down there it came and then spilled out all across the road, must be very recent or it would have been shifted by now. 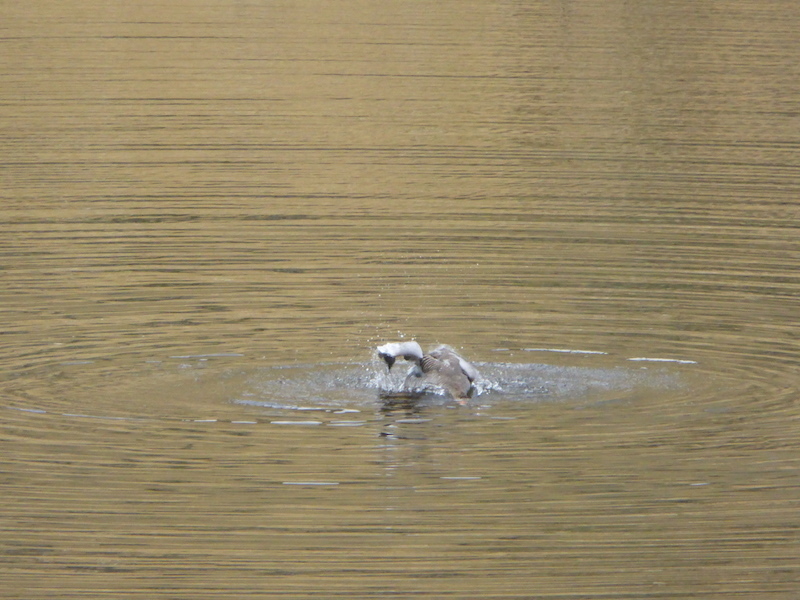 These two were busy having a wash and brush up. 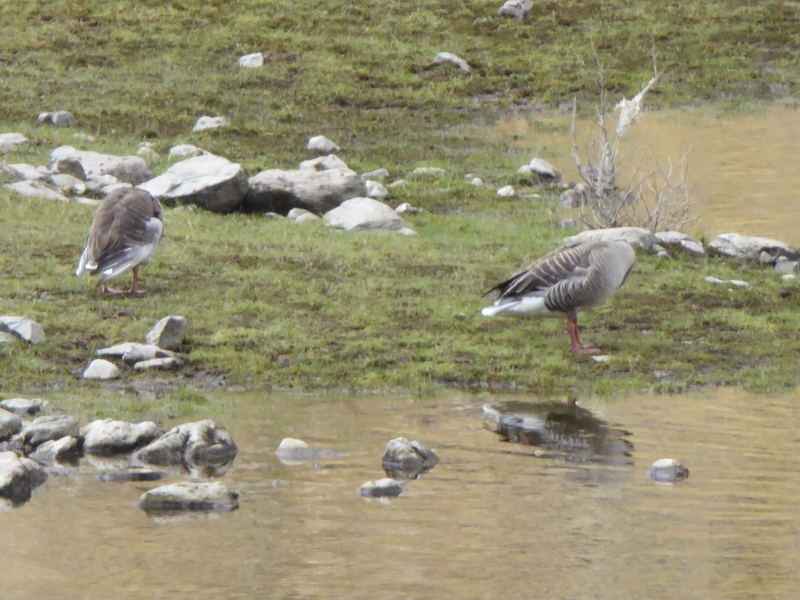 I think they are greylag geese and the one on the right was having a great time in the water as the next photos show ….. 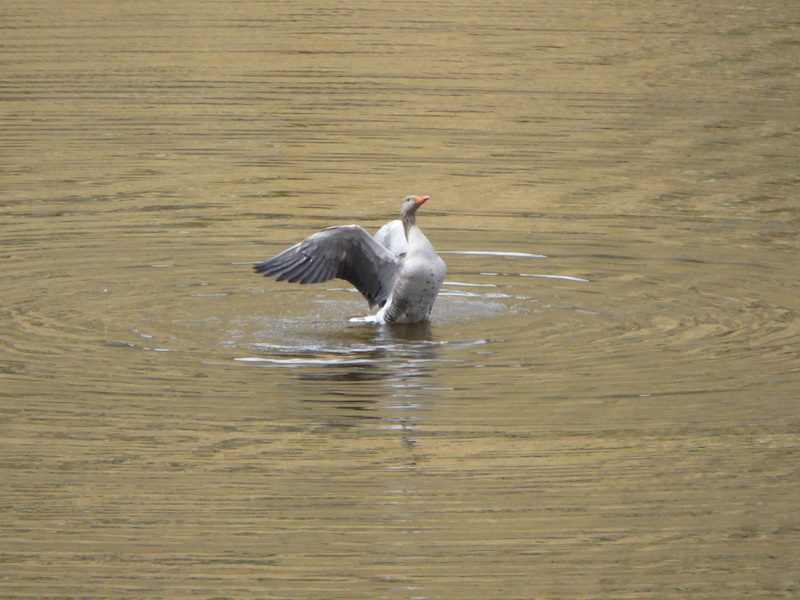 Dive down, resurface, shake the feathers …..
….. repeat as often as necessary …..
….. a bit more preening …..
….. and then a huge shake of the wings to dry off. 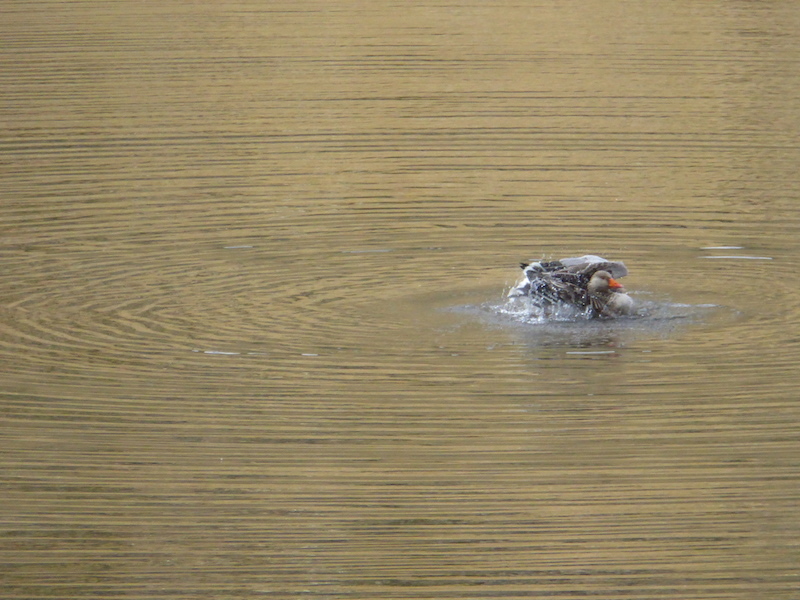 A little entertainment for us as we walked the mile or so back to the car. 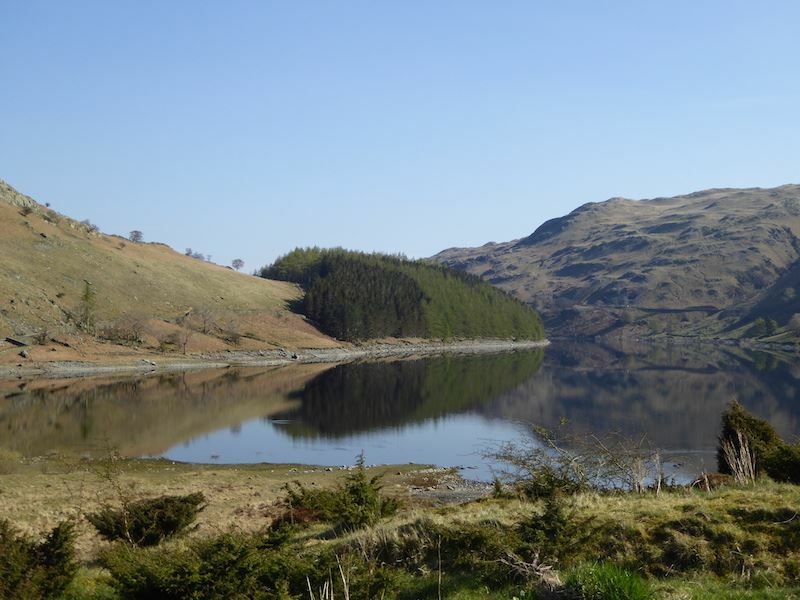 It wasn’t a very long walk today but it was very pleasant, perfect walking conditions and by a route we hadn’t taken before so we had some different views of familiar scenery. The weather is set to change from tomorrow and over the weekend so it may be a while before we can get out again.